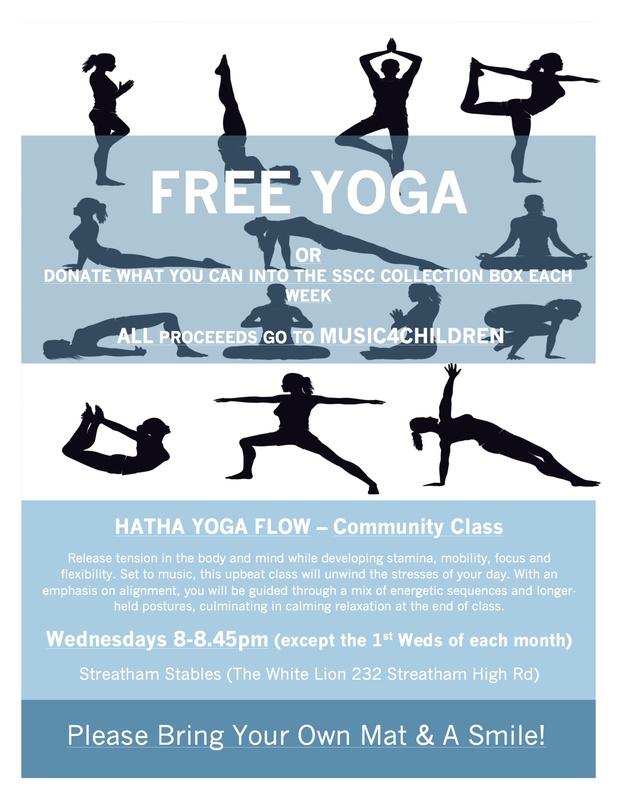 It’s donation yoga, so it’s FREE to attend or anything you can donate whether it’s pennies of £’s goes straight to the fantastic Music4Children charity (learn more about their wonderful work here: http://music4children.org/). ABOUT THE CLASS: Come and unwind the stresses of your day. Accompanied by soothing music, you will guided through yoga postures with an emphasis on breath awareness and alignment. Release tension in the body and mind while developing mobility, focus, stamina and flexibility, culminating in calming relaxtion at the end of class. Beginners are welcome – come along with an open mind and enjoy! This article was originally published in the May 2013 issue of OM Yoga Magazine where each month write the ‘Carry on Teacher’ column. You can find more of my previous columns here on my website where you can also download a free 21 pg preview of the July/Aug 2013 issue. Hooray! The noticeably longer days are here and summer is on the way. It feels like a time packed with promise and new possibilities. And it’s not just me – all around it seems as though this month is about new projects, new phases and broadening horizons. It’s exciting times as lots of people are embarking on the new, whether that’s travel, business ventures, relationships, parenthood and much more. For me, it’s a case of the new both at home and away. I’m excited to be the guest teacher on a yoga holiday in Montenegro on the Adriatic coast. It’s my first time teaching on a retreat outside the UK and I’m thrilled to have been invited by Alan Sweetingham to take part in his yoga holiday this month. Closer to home, I’ve been teaching at a brand new space called L!FE Shoreditch on London’s Brick Lane. With its combination of a yoga, a whole food café, and music all under one roof it’s an exciting place to be in a part of town that’s close to my heart having studied for my degree in the area. What new things are you facing now? If you’re anything like me there may be a few nerves, or a little fear of the unknown, even if (or sometimes, especially if) it’s something you want to do. In those instances you may form a strong desire for things to turn out exactly as you wish or the mind may zip into trouble-shooting mode in an attempt to control outcome. If I ever feel this way I remind myself to let go of the outcome. If I get too wrapped up to remind myself then something external tends to do that for me! Whenever I let go, a sense of calm and acceptance arises. Whether yoga philosophy is your bag or not, as yoga practitioners there is undoubtedly something about this practice that cultivates awareness which opens up the capacity to take a step back. The brilliant Albert Einstein said, “The most important decision we make is whether we believe in a friendly or hostile universe.” Go into whatever is ahead of you with an open heart, do the best you can with what you have and surrender the outcome. If you are able to do this, don’t be surprised to see the universe become that bit more friendly as a result. 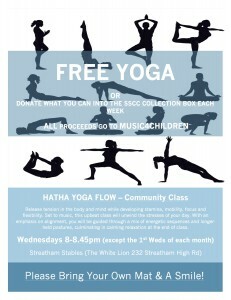 Join me for a new class on Tuesdays 19.30-20.30 at Club Fifty One. Based just a stone’s throw from Marylebone village and headed by renowned Exercise Scientist and Coach, Jon Denoris, Club Fifty One offers a calm, relaxed space for training and bespoke one-to-one coaching in a very accessible central London location. As class sizes are small, places are limited, so please book and pay in advance with Jen – jen@clubfiftyone.co.uk. And if you’d like more info about the class please feel free to email me at ucanyoga1@gmail.com.